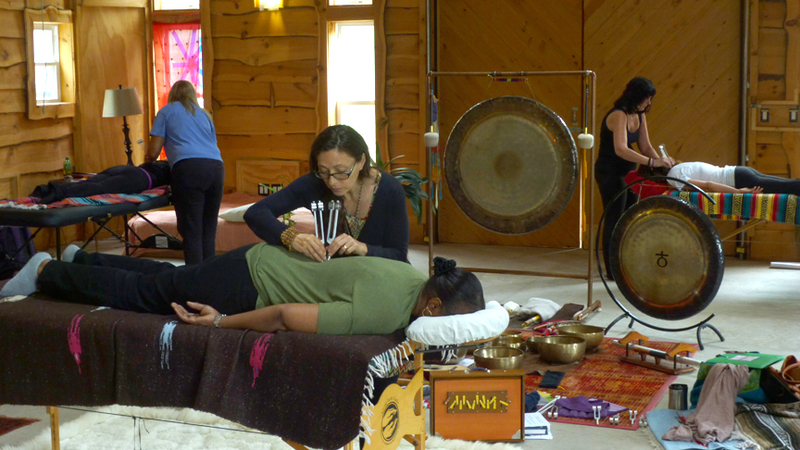 The Sage Academy Of Sound Energy offers a Certificate Program in SoundHealing -- the study of the therapeutic effect of sound on human beings physiologically, psychologically, emotionally and spiritually. The Certificate program is a comprehensive curriculum designed to provide students with a broad perspective on this expanding industry, enabling them to focus on their areas of interest. 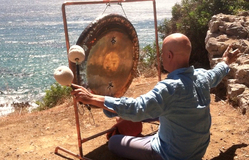 Sage Academy of Sound Energy was founded in 2007 by director, Philippe Garnier and co-director Lea Garnier, and has been offering SoundHealing Retreats and Trainings to their community since that time. As director, founder and space holder of Sage Academy, Philippe brings his life long knowledge of Sacred Sound to our annual certification training program. Philippe’s studies started in the 80’s working as the art director for Ear Magazine where he was then immersed in the center of New York City’s “New Music” scene. Working with establishing a new way of listening, along side John Cage, La Monte Young, Pauline Olivaros, Charlotte Mormon, Laurie Anderson, Philip Glass, John Zorn, and many others, his editorial input was highly valued by the Editors of this new movement in sound awareness. Listening to a call for nature in the early 90’s, Philippe spent a year living and "remembering" with a Native American Apache community in the mountains of New Mexico. A few years later he began training extensively with curanderos of the upper Amazon; Philippe integrated their knowledge of ancient healing energies with the new scientific and contemporary studies from master teachers and mentors Dr. John Beaulieu & Don Conreaux, and other pioneers in the field of SoundHealing. Co-founder and Co-director of Sage, Lea has worked in the healing arts for over 20 years and is an accomplished craniosacral and sound healing practitioner. Her healing journey began by making paintings that have been displayed, sold and published in Europe and New York State. In 2008 she became a certified yoga instructor, and specializes in teaching the integration of SoundHealing and Sound Awareness (nada) in a yoga class setting. She has also trained with Amazonian medicine men and women, and a good number of the contemporary sound pioneers. In 2010, Philippe & Lea founded the first East coast Annual SoundHealing Intensive at Menla, NY. By creating a forum for pioneers of SoundHealing to share their knowledge, they launched a platform for in depth studies that has greatly contributed to todays expansive and ever growing field of sound practitioners world wide. 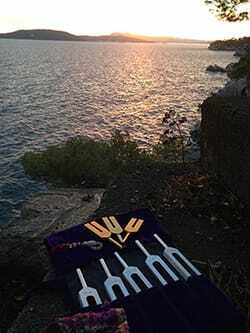 They now offer 6 sound training/retreat intensives a year in America and are expanding their offerings in Europe. I use sound in every Healing Touch session I give… so powerful. We will be forever grateful to Philippe and you Lea for teaching us! 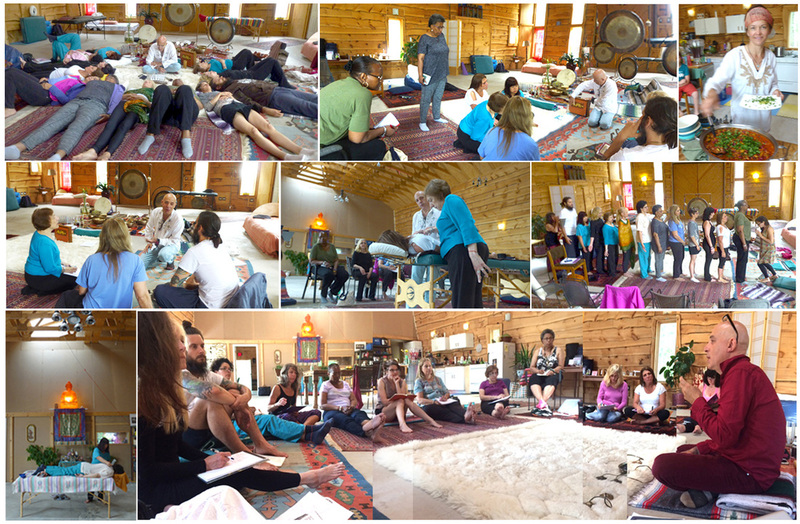 if we stay in Greenwich and open a healing center, you will HAVE to come and teach a workshop! I am so grateful that our paths have crossed. The work both you and Lea -and of course all the masters I met this weekend - are doing has left me absolutely inspired and motivated! I would also like you to know how much I appreciated the encouragement from you and Lea over the weekend. It's been many years since I have cared about something as much as I do learning the art of sound healing, and knowing that you both recognize and appreciate that means the world to me.